Joseph Alessi was appointed Principal Trombone of the New York Philharmonic, The Gurnee F. and Marjorie L. Hart Chair, in the spring of 1985. He began musical studies in his native California with his father, Joseph Alessi, Sr., as a high school student in San Rafael, California, and was a soloist with the San Francisco Symphony before continuing his musical training at the Curtis Institute of Music. Before joining the Philharmonic, Mr. Alessi was second trombone of The Philadelphia Orchestra for four seasons, and principal trombone of the Montreal Symphony Orchestra for one season. He has performed as guest principal trombonist with the London Symphony Orchestra in Carnegie Hall, led by Pierre Boulez. Mr. Alessi is an active soloist, recitalist, and chamber musician. In April 1990 he made his New York Philharmonic solo debut, performing Creston’s Fantasy for Trombone, and in 1992 premiered Christopher Rouse’s Pulitzer Prize–winning Trombone Concerto with the Philharmonic, which commissioned the work for its 150th anniversary celebration. He performed the World Premiere of Melinda Wagner’s Trombone Concerto, conducted by Lorin Maazel in February 2007. In July 2013 he appeared with the Philharmonic as soloist in Bramwell Tovey’s The Lincoln Tunnel Cabaret for Trombone and Orchestra, written for Mr. Alessi, at Summertime Classics and at Bravo! Vail, both performances conducted by the composer. In June 2016 he gave the World Premiere of William Bolcom’s Trombone Concerto, a Philharmonic co-commission, conducted by then Music Director Alan Gilbert as part of the NY PHIL BIENNIAL; Mr. Alessi and the Philharmonic, led by Alan Gilbert, reprised the concerto in the 2016–17 season. Mr. Alessi has been a guest soloist with the Lincoln, Colorado, Syracuse, Virginia, Alabama, Santa Barbara, Puerto Rico, Hartford, and South Dakota symphony orchestras; New Japan, Seoul, Hague, and Helsinki philharmonic orchestras; National Repertory Orchestra; Orchestra of Teatro Massimo Bellini in Catania, Sicily; Mannheim National Theater Orchestra; and National Symphony of Taiwan. Mr. Alessi has also participated in numerous festivals, including the Festivale Musica di Camera in Protogruaro, Italy; Cabrillo Music Festival; Swiss Brass Week; and Lieksa Brass Week in Finland. He was featured in the 1997 International Trombone Festival in Feldkirch, Austria, and the International Meeting of Brass Instruments in Lille, France. He is a founding member of the Summit Brass ensemble at the Rafael Mendez Brass Institute in Tempe, Arizona. In 2002 Mr. Alessi was awarded an International Trombone Association Award for his contributions to the world of trombone music and trombone playing. Joseph Alessi is currently on the faculty of The Juilliard School; his students now occupy posts with many major symphony orchestras in the U.S. and internationally. As a clinician for the Edwards Instrument Co., he has also given master classes throughout the world and has toured Europe extensively as a master teacher and recitalist. He has performed as soloist with several leading concert bands, including the U.S. Military Academy Band at West Point, U.S. Army Band (“Pershing’s Own”), and the U.S. Marine Band (“The President’s Own”). Mr. Alessi’s discography includes many releases on the Summit record label, including Trombonastics and Fandango, with retired Philharmonic Principal Trumpet Philip Smith. He also recorded New York Legends on the Cala label, Return to Sorrento on the Naxos record label, and conductor/composer Bramwell Tovey’s Urban Cabaret. His live recording with the Philharmonic of Christopher Rouse’s Pulitzer Prize–winning Trombone Concerto, commissioned for the Orchestra’s 150th anniversary project, can be heard on Volume II of An American Celebration, on New York Philharmonic Special Editions, the Orchestra’s own recording label. Mr. Alessi was invited by the International Trombone Association to record a solo disc of newly composed works, which was distributed to the Association’s membership of 5,000 trombonists in early 1999 and is now available as Beyond the End of the Century through Summit Records. His recording of George Crumb’s Starchild on the Bridge record label, featuring Mr. Alessi as soloist, won a Grammy Award for 1999–2000. Other recordings featuring Mr. Alessi are with the Canadian Brass (Sony Classical and Philips Records). Further information about Mr. Alessi can be found on his website, www.slidearea.com. Bassist Timothy Cobb joined the New York Philharmonic as Principal Bass in May 2014, after serving as principal bass of The Metropolitan Opera Orchestra, and principal bass of the Mostly Mozart Festival Orchestra since 1989. He has appeared at numerous chamber music festivals worldwide, including the Marlboro Music festival, through which he has toured with the Musicians from Marlboro series. A faculty member of the Sarasota Music Festival, he is helping to launch a new bass program for the Killington Music Festival in Killington, Vermont. Mr. Cobb also serves as principal bass for Valery Gergiev’s World Orchestra for Peace, an invited group of musicians from around the world who donate their time biannually and perform to promote international harmony. Mr. Cobb has been designated a UNESCO Artist for Peace from his affiliation with the World Orchestra. He has an ongoing collaboration with actor Stephen Lang, for whom he recorded a solo bass sound track for Mr. Lang’s animated short film The Wheatfield, which depicts a human drama from the Battle of Gettysburg. The two were invited to Gettysburg in July 2013 on the 150th anniversary of the battle to perform in the Salute to the States event held there, and they will continue to collaborate for future events. Mr. Cobb serves as bass department chair for The Juilliard School as well as on the faculties of the Manhattan School of Music, Purchase College, and Rutgers University. He is also a distinguished visiting artist for Lynn University in Boca Raton, Florida. A native of Albany, New York, Timothy Cobb graduated from The Curtis Institute of Music, where he studied with Roger Scott. While at Curtis, Mr. Cobb was a substitute with The Philadelphia Orchestra and in his senior year became a member of the Chicago Symphony Orchestra under Georg Solti. Mr. Cobb can be heard on all Metropolitan Opera recordings released after 1986, as well as on a recording of Giovanni Bottesini’s duo bass music with bassist Thomas Martin on the Naxos label. Alexei Yupanqui Gonzales was appointed to the cello section of the New York Philharmonic in November 2012. He has served as the principal cellist of the Rhode Island Philharmonic and the Boston Lyric Opera. He has also been a member of the Boston Ballet Orchestra and has performed with the Boston Symphony, Boston Pops, A Far Cry Chamber Orchestra, Emmanuel Music under the late Craig Smith, and the Bach Ensemble with harpsichordist John Gibbons. An avid chamber musician, Mr. Gonzales has performed in various concert venues including Jordan Hall, Isabella Stewart Gardner Museum, Seattle Town Hall, Currier Museum of Art, and the Library of Congress in Washington, D.C. He won first prize in the Coleman International Chamber Competition with the Azure Trio, and he was a recipient of the Borromeo String Quartet Artist Award. He has also taught chamber music at the New England Conservatory Preparatory School. Mr. Gonzales was a Tanglewood Music Center Fellow for three summers, where he received the Samuel Mayes Memorial Prize and participated in the Bach Institute Seminar. He has spent other summers at the Schleswig-Holstein Music Festival, Banff, the International Music Arts Institute, and the Killington Music Festival. Mr. Gonzales studied with Laurence Lesser and Paul Katz at the New England Conservatory of Music. The son of Peruvian and German immigrants, Mr. Gonzales was raised in Andover, Massachusetts. Currently, he lives in Manhattan with his wife, Mie, an oboist. He is an avid Bayern Munich soccer fan. Violinist Soohyun Kwon, The Joan and Joel I. Picket Chair, became a member of the New York Philharmonic in September 2001. Prior to joining the Philharmonic, Ms. Kwon performed as a soloist with many orchestras, including the Vienna Symphony Chamber Orchestra at the Bregenz Summer Music Festival, Prague Symphony Chamber Orchestra at Smetana Hall, Vienna Mozart Orchestra at the Goldensaal Musikverein, Tchaikovsky Society, Shanghai Symphony, Korea Chamber Ensemble, and Seoul Philharmonic Orchestra. Ms. Kwon made her New York debut at Carnegie Hall's Weill Recital Hall and gave other recitals at Juilliard's Paul and Morse Halls, the Concertgebouw and Beurs van Berlage, in Amsterdam, and at the Seoul Arts Center. A founding member of the Alma Piano Trio, she performed with the ensemble at Alice Tully Hall, Salisbury State University, Maryland, and at the Goethe Institute in New York. 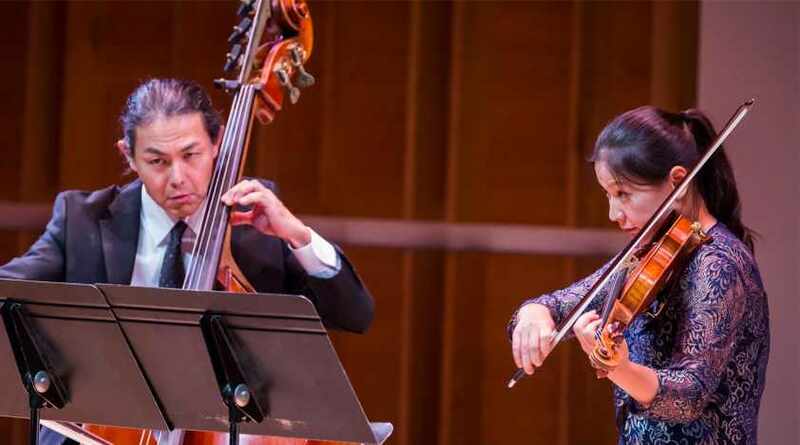 With her string quartet, Quartet 94, Ms. Kwon toured California, where she performed at the University of Southern California and at the inauguration of the Korean-American Museum in Los Angeles. Ms. Kwon was born in Seoul, Korea, and began studying the violin at the age of six. She won several top prizes, studying with Nam Yun Kim and Min Kim. While an academic scholarship student at Seoul National University, Ms. Kwon transferred to The Juilliard School and received her Bachelor of Music and Master of Music degrees as a student of Glenn Dicterow. Ms. Kwon's interests include Korean and Chinese history and contemporary art. Cynthia Phelps is the New York Philharmonic’s Principal Viola, The Mr. and Mrs. Frederick P. Rose Chair. Highlights of her solo appearances with the Orchestra have included the New York Premiere–Philharmonic Co-Commission of Julia Adolphe’s Unearth, Release, in 2016; performances on the 2006 Tour of Italy, sponsored by Generali; Mozart’s Sinfonia concertante in 2010 and 2014; and Sofia Gubaidulina’s Two Paths, which the Orchestra commissioned for her and Philharmonic Associate Principal Viola Rebecca Young and which they premiered in 1999 and reprised both on tour and in New York, most recently in 2011. Other solo engagements have included the Minnesota Orchestra, San Diego Symphony, Orquesta Sinfónica de Bilbao, and Hong Kong Philharmonic. Ms. Phelps is a member of the New York Philharmonic String Quartet, established in the 2016–17 season, and performs with The Chamber Music Society of Lincoln Center, Jupiter Chamber Players, and the Santa Fe, La Jolla, Seattle, Chamber Music Northwest, and Bridgehampton festivals. She has appeared with the Guarneri, Tokyo, Orion, American, Brentano, and Prague Quartets, and the Kalichstein-Laredo-Robinson Trio. She has given recitals in the major music capitals of Europe and the U.S. She is also a founding member of the chamber group Les Amies, a flute-harp-viola group with Philharmonic Principal Harp Nancy Allen and flutist Carol Wincenc. Ms. Phelps is a first-prize winner of both the Lionel Tertis International Viola Competition and the Washington International String Competition, and is a recipient of the Pro Musicis International award. Under the auspices of this philanthropic organization, she has appeared as soloist in New York, Los Angeles, Boston, Rome, and Paris, as well as in prisons, hospitals, and drug rehabilitation centers worldwide. Her recording Air, for flute, viola, and harp on Arabesque, was nominated for a Grammy Award. Her television and radio credits include Live From Lincoln Center on PBS; St. Paul Sunday Morning on NPR; Radio France; Italy’s RAI; and WGBH in Boston. Ms. Phelps has served on the faculties at The Juilliard School and the Manhattan School of Music. She is married to cellist Ronald Thomas. Violinist Anna Rabinova performs nationally and internationally as a soloist, chamber and orchestral musician, and recording artist. She joined the New York Philharmonic in 1994, two years after arriving in the United States from her native Russia; in the 2008–09 season she was a soloist with the Orchestra in Bach’s Brandenburg Concerto No. 5, led by Lorin Maazel. 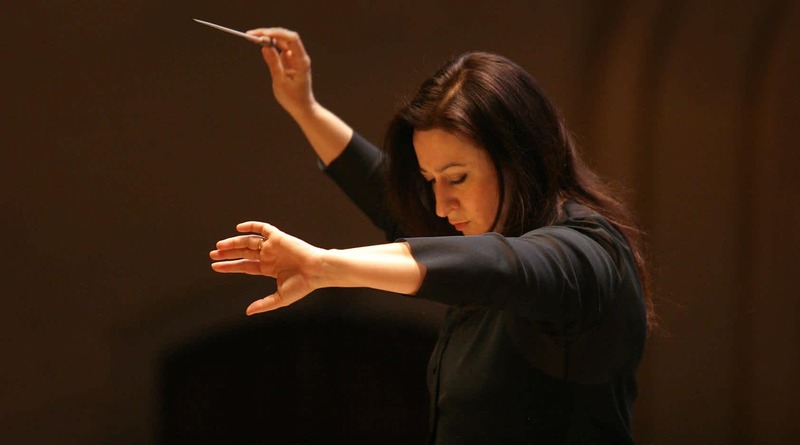 Ms. Rabinova has toured Germany, Italy, the former Yugoslavia, Hungary, and Bulgaria, performing concertos with the Moscow State Symphony Orchestra and numerous other European orchestras. They include the Halle Philharmonic, Schwerin Philharmonic, Moscow Radio Orchestra (Vladimir Fedoseev conducting), Moscow Chamber Orchestra, Eisenach Symphony, Russian State Symphony, and Berlin Symphony (Lior Shambadal conducting). In the United States, she has made solo appearances with the Orchestra of St. Luke's, American Symphony Orchestra (Leon Botstein conducting), and Memphis Symphony, among others, and has premiered works by John Corigliano and Alfred Schnittke. As a recitalist, Ms. Rabinova has appeared in numerous halls, including the Shauspielhaus in Berlin, Tchaikovsky Philharmonie Hall in Moscow, and Moscow Conservatory Great Hall, as well as in venues in Rome, Leipzig, and Belgrade. 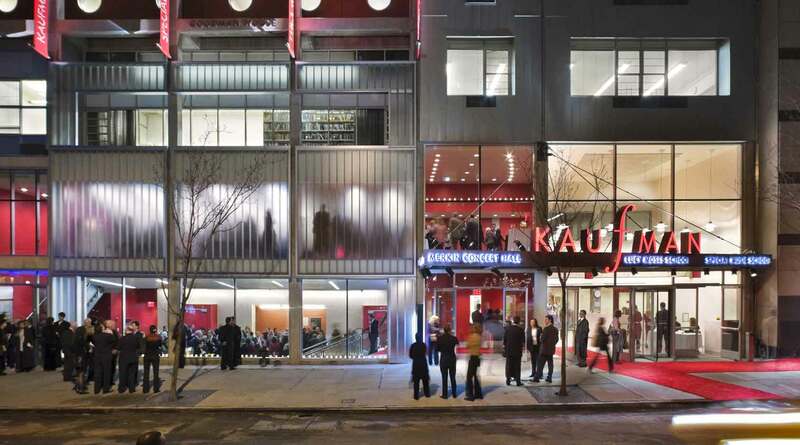 In the U.S. she has performed at the Phillips Gallery (Washington, D.C.), Weill Recital Hall at Carnegie Hall, Alice Tully Hall, Merkin Concert Hall, Bargemusic, and on the Rockefeller University concert series. In April 2004 she served as concertmaster of the Lancaster (Pennsylvania) Symphony Orchestra. Her festival performances have included appearances at the Schleswig Holstein, Berlin Chamber Music, and Long Island Mozart festivals, the Music Festival of the Hamptons, and at Tanglewood and Caramoor. Ms. Rabinova’s recordings include works by Schuman (for Germany’s Auris-Subtilis) and David Winkler’s Violin Concerto (Naxos); in 1998 she recorded sonatas by Brahms and Schubert for an NHK-TV (Japan) chamber series, which was broadcast worldwide and produced by Paul Smaczny. She has been interviewed and has performed on WLIW-TV in New York, as well as on German and Russian radio. Anna Rabinova was born in Moscow and performed Tchaikovsky's Violin Concerto, Heinrich Wilhelm Ernst’s Violin Concerto, and Paganini’s Violin Concerto with the Moscow State Symphony at the age of 13, later studying at the Tchaikovsky Conservatory with Leonid Kogan and Igor Bezrodnyi. She was a first-prize winner at the 16th International Violin Competition in Belgrade, in addition to winning the Bach International Competition in Leipzig, Germany, and the 1993 Concerto Competition at The Juilliard School. She has taught at the Gnessin Institute in Moscow, the Manhattan School of Music, and LaGuardia High School, in addition to giving master classes in the U.S. and abroad. Markus Rhoten joined the New York Philharmonic as Principal Timpani in September 2006. Prior to this appointment he was the principal timpanist of the Berlin Symphony Orchestra, led by Eliahu Inbal. Born in 1978 in Hanover, Germany, Mr. Rhoten attended the College of Arts in Berlin, and continued his studies as an apprentice with the National Opera Orchestra Mannheim. 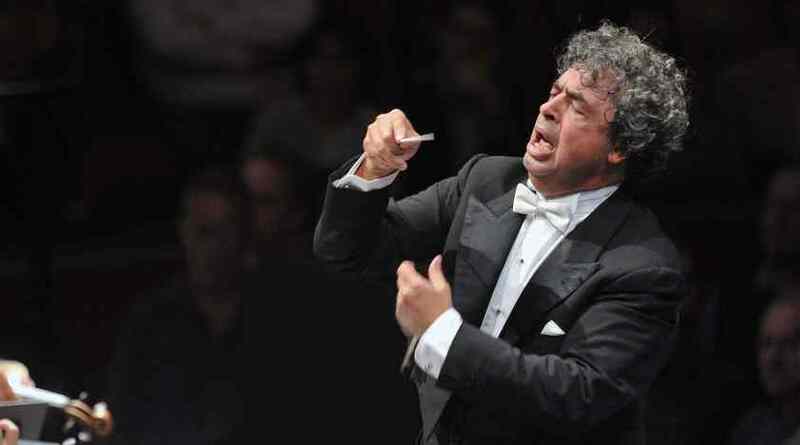 Subsequently, he was awarded a stipend for the Academy of the Bavarian Radio Orchestra in Munich, and in 2002 became principal timpanist of the Bavarian Radio Orchestra under Lorin Maazel. He has also worked with conductors Mariss Jansons, Riccardo Muti, Esa-Pekka Salonen, Franz Welser-Möst, Valery Gergiev, Christoph von Dohnányi, and Charles Dutoit, among others. Mr. Rhoten has performed with the Hessen Radio Symphony Orchestra; Zurich Opera Orchestra; North German Radio Philharmonic; Lower Saxony State Opera Orchestra; and Munich Philharmonic Orchestra, and can be heard on all of the Deutsche Grammophon recordings with the New York Philharmonic made after September 2006. Ms. Ziskel’s recent appearances apart from the Philharmonic include a successful tour of Spain and the Ballearic Islands and recitals at Carnegie Hall’s Weill Recital Hall, Alice Tully Hall, and Merkin Concert Hall as well as venues in Italy, Germany, and Russia. Her solo appearances include performances with the Wisconsin Chamber Orchestra, South Florida Symphony, New York Chamber Symphony Orchestra, and St. Petersburg Chamber Orchestra. She has performed chamber music at Minato Mirai Hall in Yokohama, Japan; former Philharmonic Music Director Lorin Maazel’s private theater for the Chateuville Foundation; Lyric Chamber Music Society of New York for the Kosciuszko Foundation; and with Philharmonic colleagues during Saturday Matinee Concerts at Avery Fisher Hall and the New York Philharmonic Ensembles series at Merkin Concert Hall. Ms. Ziskel has also appeared on numerous radio programs, including WQXR’s The Listening Room, hosted by Robert Sherman. Her awards include First Prize in the Assembly of Arts International Violin Competition; the New Names award, one of the highest honors for young talent in Russia; and the Anna Bernstein Memorial Award. Born in St. Petersburg, Russia, Yulia Ziskel began her musical training on the violin and piano at the age of four. She made her solo debut at age seven at the St. Petersburg Philharmonic Hall and at age twelve was a soloist with St. Petersburg Chamber Orchestra. As a teenager she toured extensively, appearing in solo recitals throughout Russia, Germany, Finland, Poland, and the United States. In 1994 Ms. Ziskel’s family immigrated to the United States, where she completed her bachelor of music degree at Indiana University and later received her master’s degree from The Juilliard School. Her teachers included Philharmonic Concertmaster Glenn Dicterow and violinist Yoko Takebe as well as Nelli Shkolnikiva, Lev Ivashenko, and Eugenia Poustireva. Ms. Ziskel’s debut solo CD on the Sonoris label includes works by Wieniawski, Tchaikovsky, Ysaÿe, Brahms, and Paganini and features pianist Tatiana Goncharova, and her recording of chamber music was released on the Naxos label.